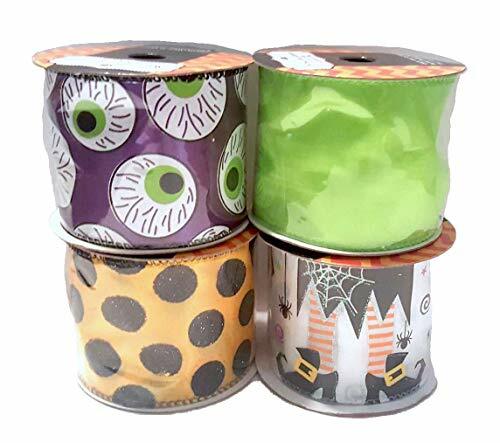 Set of four beautiful wire edged Halloween ribbon. All styles are chosen at random! Great for floral arrangements, wreathes, gift wrapping, and decorations! View More In Bows & Ribbons. If you have any questions about this product by Nikki's Knick Knacks, contact us by completing and submitting the form below. If you are looking for a specif part number, please include it with your message. Holiday Trims Velvet Bow 10"